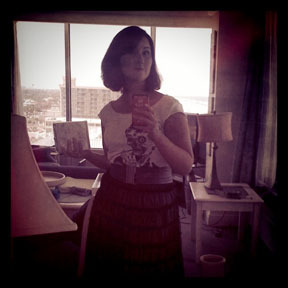 Note: This is Part 2 of a two-part series about S.J.’s steampunk adventures in Florida. Read Part 1 here. 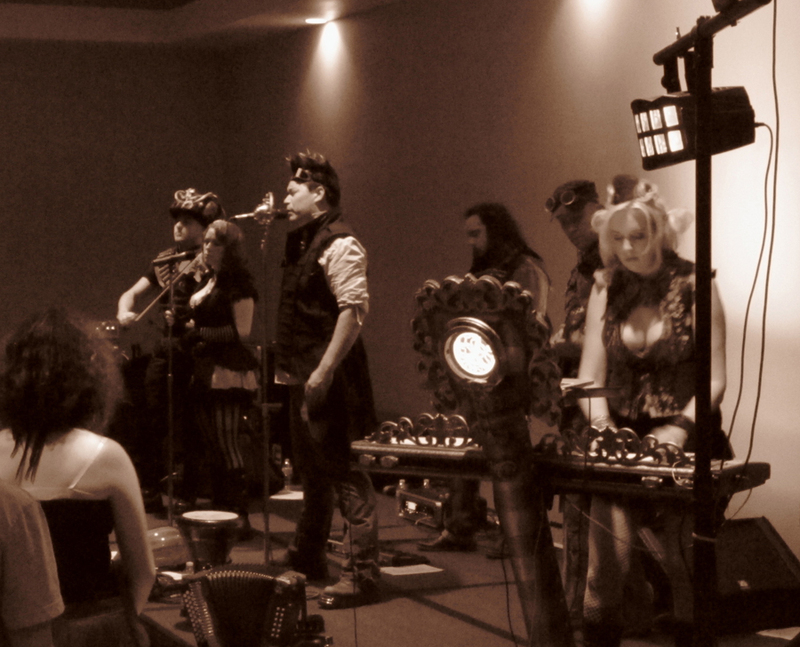 Abney Park at the Florida Steampunk Society Exhibition East, Daytona Beach Resort, Florida. The main event was Saturday night. Opening with Cog is Dead, an intermission performance by local artist Perego, the audience was thoroughly warmed up for headliners Abney Park. 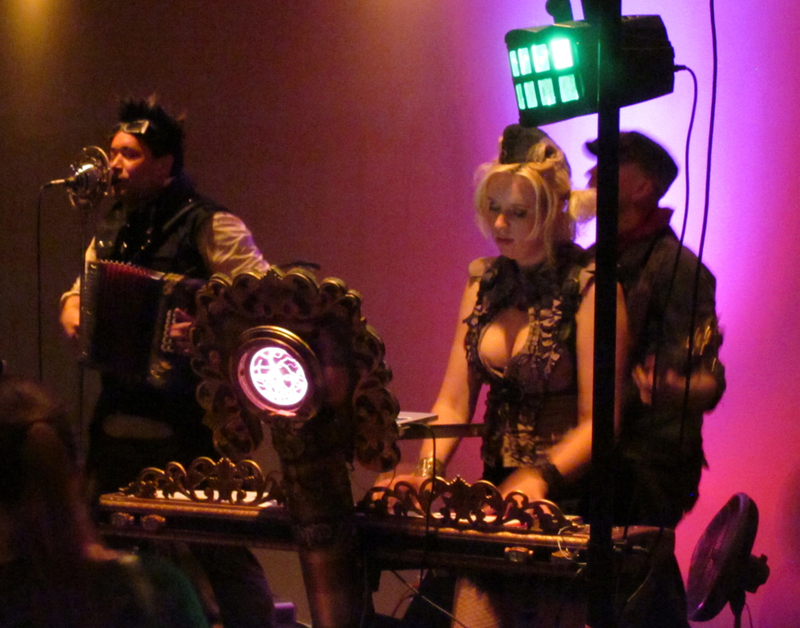 This was my first time seeing the “quintessential” Steampunk band live, and I was really impressed with how the band’s energy fed into the audience and vice versa. Abney Park is releasing a new album, Ancient Worlds this summer, and its first track “Steampunk Revolution” was just released as a new video featuring content submitted by fans, including images from Florida Steampunk Society Press Representative and Tampa Steampunk founder Daylina Miller. “And taking the fun out of it at the same time!” chimed in vocalist Jody Ellen. Who knows in the end what “Florida Steampunk” may be. It may have its own brand of Steam, or it may be unclassifiable, but I’m pretty certain one thing it will always be is an adventure. Floridian S. J. Chambers is the co-author of the Steampunk ChronicleReader’s Choice Award for Best Non-Fiction and Hugo nominated The Steampunk Bible.